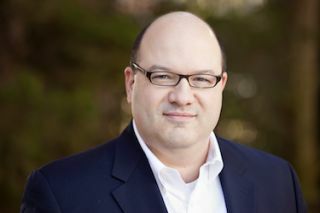 AMETEK Electronic Systems Protection, has appointed Dave D’Agostino as director of sales for its ESP and SurgeX brands. D’Agostino will now manage all sales for AMETEK Electronic Systems Protection, which was formed following the acquisition of ESP/SurgeX earlier this year by AMETEK. That organizational change, along with the resources, global influence, and leadership provided by AMETEK, will help Electronic Systems Protection to streamline sales strategies and bring additional value to its business partners. D’Agostino has more than two decades of sales management experience in the office equipment industry. He previously served as director of ESP sales. Under his leadership, the company nearly doubled its sales volume, expanded OEM relationships, and strengthened its position as an industry leader. Prior to ESP, D’Agostino served as General Manager at ComDoc, where he was responsible for operations at its Albany, NY branch. He holds a Bachelor of Science in Administration degree from the State University of New York at Oswego.